Baal HaSulam says that only by uniting in the group is it possible to unite with the Light. Otherwise, the Light does not "perceive" us since we need to become similar to it. And when we unite together, we are like a plug that enters an outlet due to the exact opposite equivalence of form. The Light can already influence us in all the empty spaces within us and correct them by making them similar to it according to our desire during the studies. In order to organize the right form of studying the articles of Baal HaSulam, his elder son, Rabash, created a method of connection to the writings of his father. If we use it, we can be sure that we will realize everything correctly. We shouldn’t forget that all the Kabbalists talk about the need for a group in which we implement this method and make ourselves similar to the Light. A person is unable to do this alone. Even if one exists at a great spiritual height, he will be unable to rise further or even remain at the degree that he achieved without unification. Even if he has already reached the 124th degree, he will be unable to rise to the final, 125th degree if he works alone. Remember the story of Rabbi Yosi Ben Kisma who said that if he were to leave his students, he would be unable to advance and would lose the level that he already possessed. The fact that they were small and he was their teacher was irrelevant; what was important is that they were together. If there is unification, there is equivalence to the Light. Without unification, there is no equivalence. This is a completely mandatory condition. Question: After the appearance of Baal HaSulam’s writings in the world, the whole method of correcting the soul is complete. From this point on, there are two jobs at hand: 1. disseminating the method of Baal HaSulam, and 2. our realizing the method. Should these two processes occur simultaneously? Answer: Of course! To the extent that we circulate the wisdom of Kabbalah in the world, we attract people with the point in the heart, and they join us. Therefore, our force – the force of those who desire to reach the revelation of the Creator, the correction of creation, love of neighbor, unity, and merging with the Upper Force – grows. As the number of our students grows, we achieve greater unification by the force of quantity, and as a result, each of us possesses a greater force. The more people that gather at the bottom of the pyramid, the more qualitative the force becomes since more people rise to the top of the pyramid, and the pyramid itself grows. Thus, we have two opposite tendencies: to unite more on the inside and to circulate more on the outside, into the world. However, these two directions in our activities are not opposite since we disseminate the spiritual force through the strength of inner unification. Laitman.com Post: How To Please The Creator? Those who are called “Isra-El” (striving to the Creator) advance by their own individual work and separately from the rest of humanity. This is on account of the Reshimot that have awakened within them and the Creator wishing to bring them closer to Himself. They enter a special process called the revelation of the soul (the Creator or spirituality which is one and the same). Step by step, they have to gradually uncover the continuous process that every person needs to go through in accordance with the speed with which their Reshimot are realized. We can only accelerate this process, not change it. We can hasten our development if, by using all the means possible, we process our states faster and more correctly. We do not change the states themselves or the order in which they come. Our only freedom is to make use of the study and the connection between us in order to enhance our awareness and sensitivity so as to understand these states faster and justify them. By being prepared for these states, we make them pass at a faster rate and thereby build a different attitude toward them. Then, we perceive every state positively and with understanding. Other than our attitude to what’s happening to us, we are absolutely powerless to change or influence anything. One of my books has been published in Spanish under the title: A Guide to the Secret Wisdom. The book is available in pocket-size format. The depth of the Divine secrets simply can not be comprehended by the discernments of the human intellect, rather, according to Kabbalah, from wonderful people whose souls were permeated by the Divine Light. When we study their teachings with the proper preparation, internal insight comes forth and settles the matters of the heart until they are similar to the terms of the natural, simple intellect. We should always combine the force of the truth of Kabbalah to this science for then things become illuminated and joyous as when they were given at Mount Sinai, to each and every one according to their degree. Laitman.com Post: How Do Great Kabbalists Connect To Us From High Spiritual Degrees? Question: You said that we can evaluate evil either according to our sensations or the desire to reach the goal. Can evil with a purpose be regarded as an ascent? Answer: If I evaluate the evil from the point of view of the goal, I say, “It’s okay that my desire to enjoy (the body) suffers” since the suffering that I feel in the “body” (my desire to enjoy) helps me rise above it, restrict it, establish a screen over it, and advance. Concealment must exist between the Creator and me in any case as I cannot reveal my desire to enjoy to Him. Either the Creator conceals Himself from my desire, or I conceal my ego from His Light (pleasure). To the extent that I conceal my ego, the Creator reveals Himself to me above my desire to enjoy, and then I feel Him. This is how we advance. In reality, there are no ascents or descents; you are the only one who determines them by your perception. The Creator reveals an increasingly greater desire to enjoy within you, and you, according to your preparation, evaluate what happens to you as ascents or descents, that is, perceive them either according to your feelings or your desire to reach the goal. The Creator gradually opens the curtain, unveiling more and more to you, and this is all that He does. And in turn, you need to determine your attitude to this revelation. The revelation is unpleasant to the ego because as more and more is revealed, it is like the Creator is “dragging you by the ear” up the steps of the spiritual ladder. Certainly, the evil inclination suffers from this since the Light is revealed, and it is opposite to the ego which receives nourishment from darkness. However, if you wish to unite with the Light, then you desire this anyway. In other words, you always have an opportunity to determine your attitude to this revelation: to evaluate it either through your feelings or the connection to the goal. Laitman.com Post: Be Happy about the Descents! 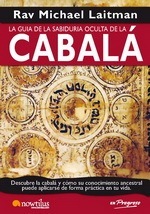 Question: How are we to understand the Sulam Commentary, or any other commentary to a Kabbalistic book? Answer: When the concealed Light (Ohr Makif) influences a person aspiring to bestowal, the person starts to feel inner qualities of reception and bestowal in their various manifestations and connections. This is similar to our world, which we feel in many details and their interactions. However, in spiritual attainment, when a person discovers an entire world of qualities within, he also reveals the knowledge of their names. Then, when he reads holy books, they start to tell him about what he reveals within him, and books written in the language of Kabbalah tell him about the qualities he discovers, similar to how the sciences of our world tell us about the qualities of the things we see. That’s why Kabbalah is the science of the Upper World, and only to the extent a person learns it can his soul understand its state and develop. Reading The Book of Zohar without the Sulam Commentary can reveal the Upper World to a person similar to how our world is revealed to a simpleton: He sees it, but doesn’t understand it. However, learning the Sulam Commentary enables a Kabbalist to know and control his state and his abilities to come closer to the Creator, similar to how a connoisseur in our world has the ability to use the world to his benefit. The same is true for all the commentaries to holy books written before HaShlah HaKadosh (the 17th century). After that many authors did not even attain the Upper World. Likewise, we shouldn’t confuse the Sulam Commentary to The Book of Zohar with other, especially later commentaries to The Book of Zohar. In order to help beginners come closer to The Book of Zohar, we have created a simplified Sulam Commentary called “Zohar for the Nation” (Zohar L’Am). In it we have removed some of the descriptions of images of the Upper World in Aramaic, making it limited in its comparison of the picture of the Upper World that a Kabbalist revealed, with the explanation of this picture by the science of Kabbalah. However, practice shows that precisely this form of The Zohar is best for beginners. And to the degree people reveal the picture of the Upper World, they will go on to the original Sulam Commentary. Laitman.com Post: Which Books Contain The Most Light? We have go through the feeling of Hell in all of its manifestations. The question is how do we enter these sensations, with what preparation? If we prepare ourselves with a mutual guarantee, the right intentions, and the support of friends (Kli) and the Light which we reveal in our connection, then we can pass the most difficult descents quickly and easily, coming into contact with them for only a moment. Such a brief “encounter with the devil” is enough for a person to take the breaking from there and raise it to correction. However, we have to correct all the breakings in all 613 desires.